The Eustachian tube is a small passageway that connects your throat to your middle ear. When you sneeze, swallow, or yawn, your Eustachian tubes open. This keeps air pressure and fluid from building up inside your ear. But sometimes a Eustachian tube might get plugged. This is called Eustachian tube dysfunction. When this happens, sounds may be muffled and your ear may feel full. You may also have ear pain. Your ears may feel plugged or full. You may feel a popping or clicking sensation (children may say their ear “tickles”). You may have pain in one or both ears. You may hear ringing in your ears (called tinnitus). You may sometimes have trouble keeping your balance. Your symptoms may get worse when you experience changes in altitude. This includes flying in an airplane, riding in elevators, driving through mountains, or diving. 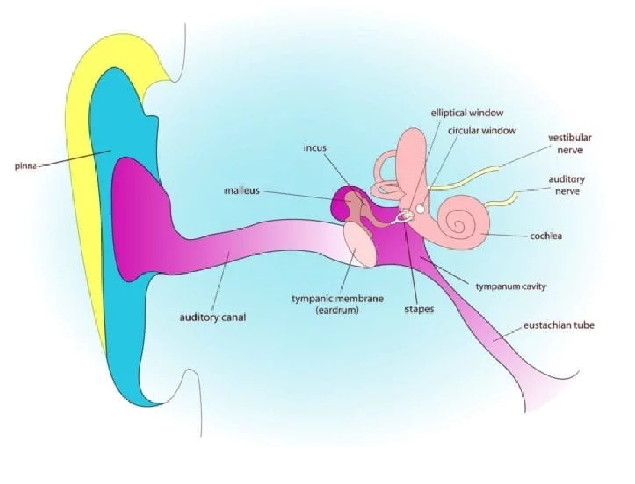 What causes Eustachian tube dysfunction? The most common cause of Eustachian tube dysfunction is when the tube gets inflamed and mucus or fluid builds up. This can be caused by a cold, the flu, a sinus infection, or allergies. Children. Their tubes are shorter and straighter than those of an adult. This makes it easier for germs to reach the middle ear and for fluid to become trapped there. Also, children’s immune systems are not fully developed. This makes it harder for them to fight off infections. People who smoke. Smoking damages the cilia (the tiny hairs that sweep mucus from the middle ear to the back of the nose). This can allow mucus to gather in the tubes. People who are obese. Fatty deposits around the tubes can lead to Eustachian tube dysfunction. How is Eustachian tube dysfunction diagnosed? Your doctor will talk to you about your symptoms and examine you. He or she will examine your ear canals and eardrums, your nasal passages, and the back of your throat. Can Eustachian tube dysfunction be prevented or avoided? Reduce your risk of developing Eustachian tube dysfunction by treating the underlying cause of the blockage. This is usually allergies, a cold, or the flu. 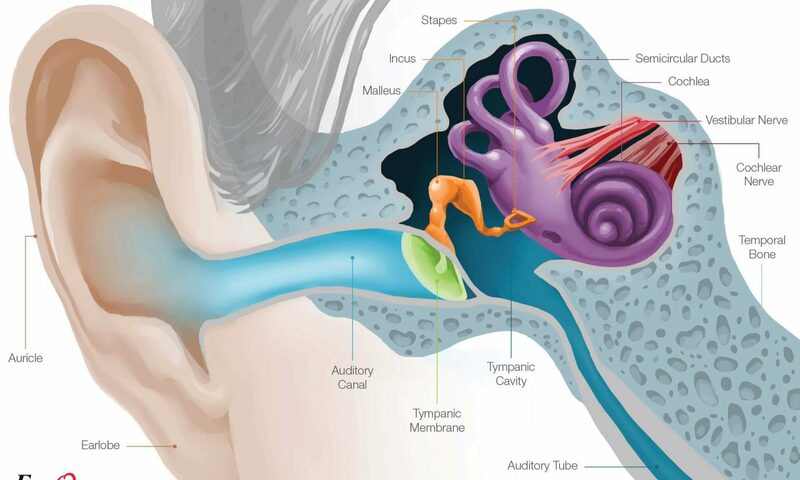 Symptoms of Eustachian tube dysfunction usually go away without treatment. You can do exercises to open up the tubes. This includes swallowing, yawning, or chewing gum. You can help relieve the “full ear” feeling by taking a deep breath, pinching your nostrils closed, and “blowing” with your mouth shut. If you think your baby may have Eustachian tube dysfunction, feed him or her. You can also give them a pacifier. These encourage the swallow reflex. Using a decongestant to reduce the swelling of the lining of the tubes. Taking an antihistamine or using a steroid nasal spray to reduce any allergic response. Making a tiny incision in the eardrum and suctioning out the fluid in the middle ear. This gives the Eustachian tube lining time to shrink while the eardrum is healing (usually 1 to 3 days). Implanting small tubes in the eardrums. These let built-up fluid drain out of the middle ear. Children who get a lot of ear infections sometimes get tubes in their ears. They stay in up to 18 months and fall out on their own. Using a balloon dilation system. A doctor will use a catheter (long, flexible tube) to insert a small balloon through your nose and into the Eustachian tube. When it is inflated, the balloon opens a pathway for mucus and air to flow through the tube. This can help it function properly. The U.S. Food and Drug Administration (FDA) advises against the use of ear candles. Ear candling involves inserting a special candle in the ear. It is supposed to pull wax and debris out of your ear as it burns. Ear candles can cause serious injuries and there is no evidence to support their effectiveness. Managing your symptoms when you have allergies or a cold is important. This can keep your Eustachian tubes clear and prevent an infection from forming. Home care usually takes care of any problems. This includes exercises such as swallowing or yawning. If you or your child show symptoms of severe pain in the ear, call your family doctor. My ears feel full and don’t feel better when I yawn. Could I have Eustachian tube dysfunction? My child has Eustachian tube dysfunction. Does this mean he/she will have ear infections? Is there anything I can do when I travel to make myself more comfortable? Could my allergies make Eustachian tube dysfunction worse? What is the best way to treat my Eustachian tube dysfunction?